Taxon: Lejeunea minutiloba var. heterogyna R.M. Schust. 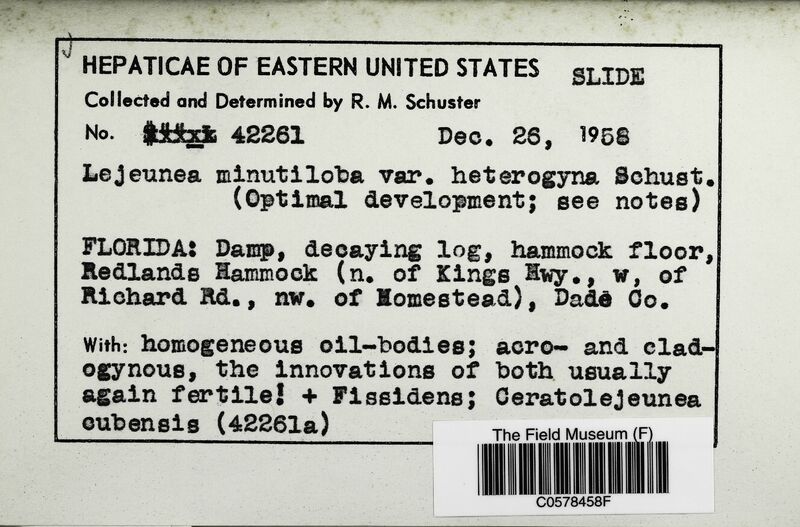 Description: Homogeneous oil-bodies; acro- and cladogynous, the innovations of both usually again fertile!